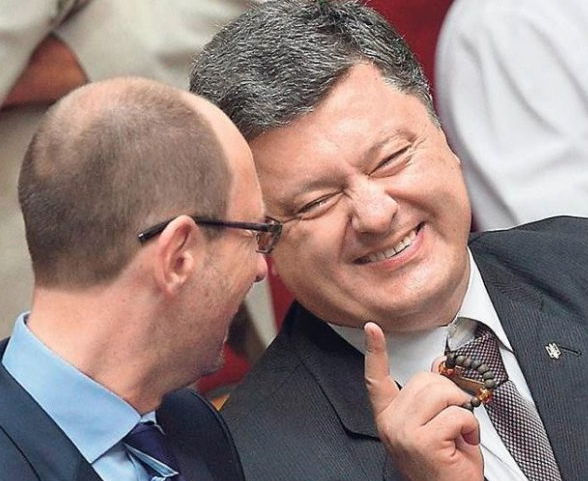 Ukrainian deputies want to abolish the criminal responsibility of officials for illegal enrichment. The corresponding draft law is now registered in the Verkhovna Rada, the Ukrainian media reported. It is noted that the bill was initiated by deputies Danilin and Kirsch (from “People’s Front”), Chekita and Shinkovich (from “Block of Piotr Poroshenko”). The Center for Counteracting Corruption (CCC) of Ukraine notes that deputies from the ruling coalition are proposing to release officials from responsibility for acquiring, or transferring to others, status, or values, the origin of which he can not explain. “However, to bring a potential corrupt official to liability will only be possible if the property was acquired illegally,” the CCC said in a statement. “At present, a punishment of two to ten years in prison awaits an official for the acquisition, for example, of a vehicle whose value does not match the official income of his family. This is the crime of illegal enrichment,” said Olena Shcherban, the head of the CCC legal department. “However, the bill proposes to establish the responsibility of an official solely for the illegal acquisition of property – for example, without proper agreement or powers of attorney from property owners. Thus, for civil servants or officials, the acquisition of cars and apartments that cost hundreds of times their official earnings, if done officially, say in a motor show – would not provide for criminal liability if this bill is passed by the parliament,” she said. In addition, Bill No. 7499 also legalizes the concealment of corrupt officials’ property by its registration to third parties. Under the current legislation, liability awaits the official even if he “writes down” his own expensive real estate to relatives, say, his father-in-law or his sister, but will remain its actual owner. If bill No. 7499 is adopted, the popular scheme for concealing valuable property of officials will be legalized, and it will be impossible to confiscate such property. “Bill No. 7499 completely destroys responsibility for illegal enrichment. The adoption of this bill will lead to the closure of hundreds of high-profile criminal cases,” the CCC said in a statement. It should be noted that criminal liability for illegal enrichment was introduced in 2015. This was one of the EU requirements for the implementation of the Action Plan on visa liberalization, as well as one of Ukraine’s obligations to the IMF, fixed by the IMF memorandum. Earlier, Diane Francis, senior researcher at the Atlantic Council research center in Washington, said that if President Poroshenko does not fulfill his promises to fight corruption in the near future, another “Maydan” will be in place in Ukraine by 2019. Recall that almost 80% of Ukrainians consider the measures of the authorities of the country to fight corruption, unsuccessful according to a poll released Thursday by the fund “Democratic Initiatives” at the Razumkov Center. Back in April the Novorosia news agency reported that Ukraine topped the world rating on the level of corruption.The fight against corruption was one of the main theses of the Maidan, but in fact, after the coup, the situation in Ukraine did not change. By the end of 2016, ‘corruption’ was the word of the year in Ukraine. The fact that Ukraine suffers from the impunity of corrupt officials and the lack of justice, even recognized in the State Department. Corruption has become the reason that the EU is ready to stop financing Ukraine.